I have so much to tell you about Nashville, but first, I must tell you about our weekend in Columbus. We made a little side-trip to Columbus, Ohio to visit our friends, Kyle and Allison, because it’s conveniently about halfway between our home and Nashville. We packed the car right after work on Friday and we were officially in vacation mode. On our last roadtrip, I started reading books aloud and I decided to plan for that again. I have too many books on my bookshelf to justify buying an audio book and chose a couple to bring along. It’s fun to laugh at the same part or stop for a minute to discuss a passage. 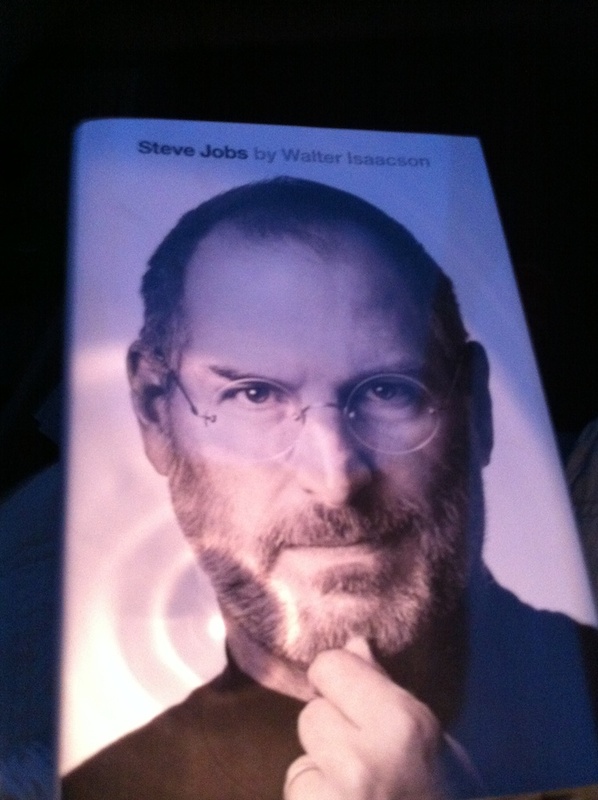 We decided on the Steve Jobs biography and I brought a handy little flashlight to be less obtrusive to Marc while driving. About 20 minutes into our trip, the rain really started to come down and it continued during the entire drive to Columbus. At one point I felt like I was screaming mixed with laughing to compensate for the noise from the rain and thunder. We arrived at our friends’ home late that night and still managed to have a nice chat before bed. We planned to get up early to start eating! Kyle already had plans to go to the OSU game and we were going to meet up with him around dinner time. Marc, Allison and I started the day at Pistacia Vera, a dessert boutique in Columbus’ German Village with pastries guaranteed to make you hungry. 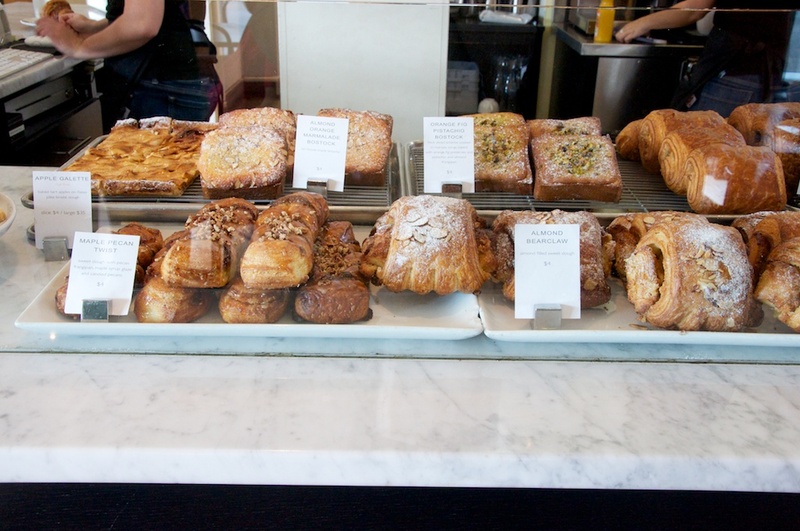 Brioche, croissants, cakes, galettes and the best macarons I’ve ever eaten, lined the marble counter. I tried to contain my excitement, but I’m sure everyone noticed my goofy grin and wide eyes. The employees couldn’t have been nicer and a guy even offered to open up the glass case so I could take a photo inside without the glare of the glass. Marc opted for an almond bearclaw and I asked for a recommendation of the three best macarons. 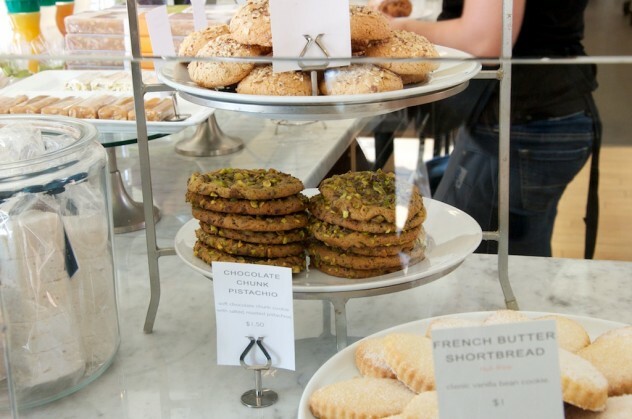 She grabbed a black raspberry, maple walnut and pistachio and while she did that, I spied a pistachio chocolate chunk cookie and almondine cookies that I needed, too. 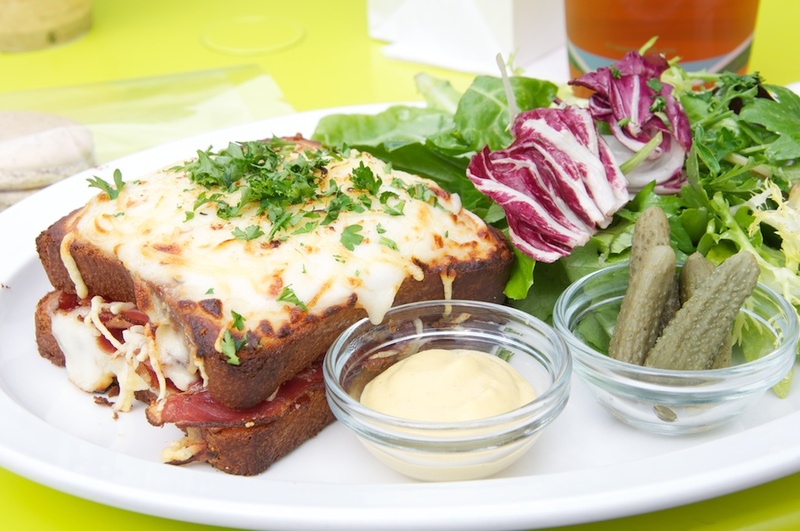 I ordered a Croque Monsieur to split and figured I would save the other treats for later. I cut the gorgeous sandwich into manageable bites and we all oohed and aahed about it. Smoked cottage ham, emmentaler cheese and mornay sauce on house made brioche with Dijon and gherkins. Every single thing we tried there was excellent. The almondine cookies and macarons were out of this world! We continued to walk around German Village with its charming cobblestone streets and ivy-covered buildings. The fall leaves were just starting to change and fall, making the setting around us pretty ideal. 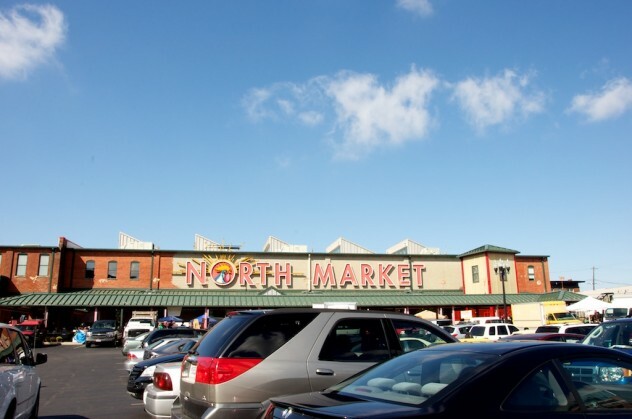 The next stop was North Market, a large farmers market that is open every day. A good portion of the market is inside the building with spots to get artisan cheese, fresh baked goods, spices, popcorn, Polish food, Indian food, coffee and more. 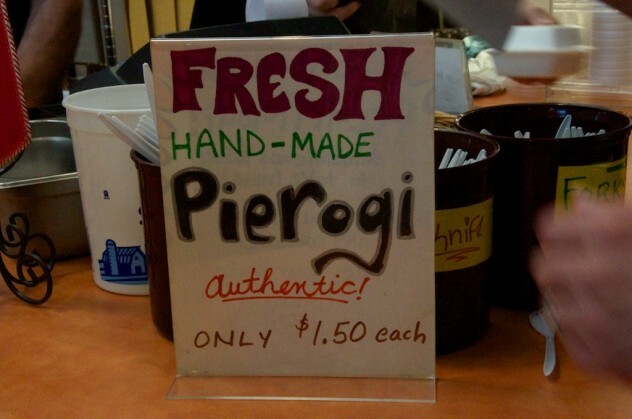 Allison told us not to miss the peirogis at Hubert’s Polish Kitchen and I’m glad we stopped. 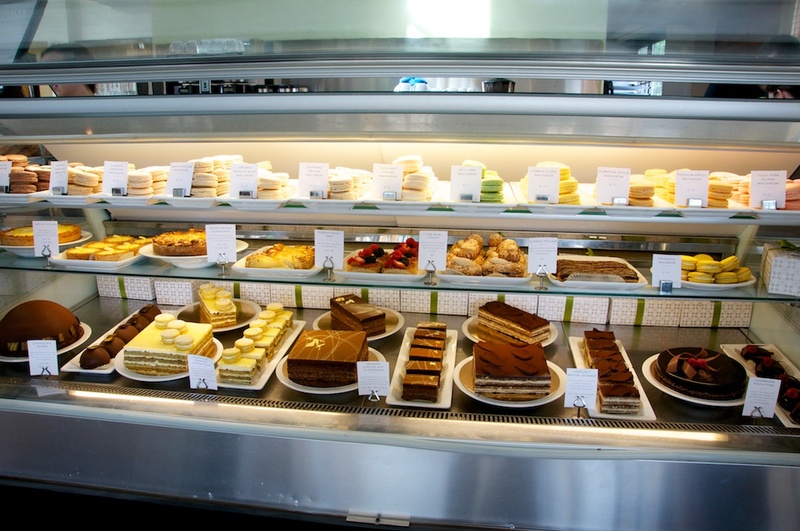 We grabbed 3 to go and went upstairs to the mezzanine dining area. 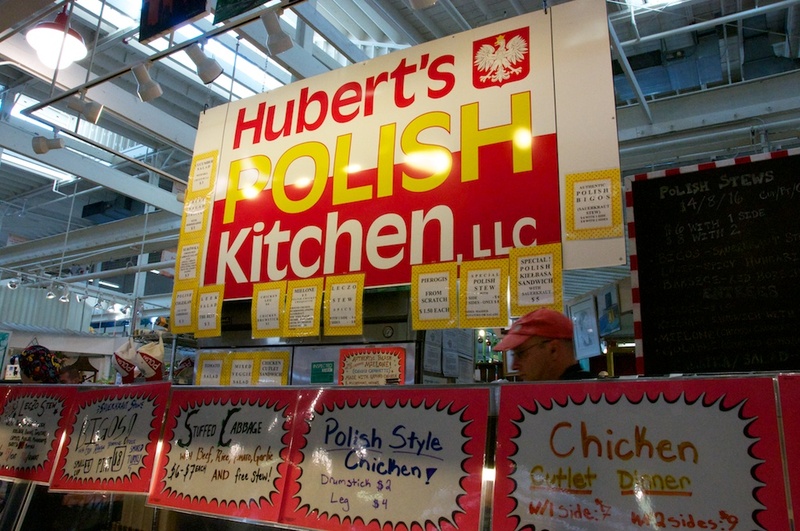 It turned out to be a good spot to see everything from above while we ate the pierogis with their creamy, dreamy filling. 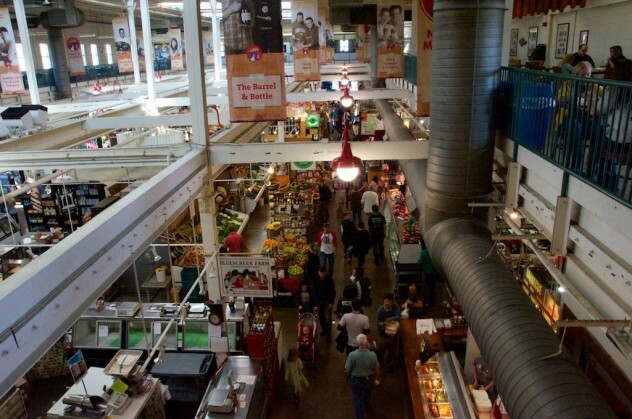 You could also view large banners that hung from the ceiling and featured the owners behind the market stalls below. Every stand had something special and unique to offer. I could not believe the variety of high-quality food available. If I lived close by, I would lurk there often. 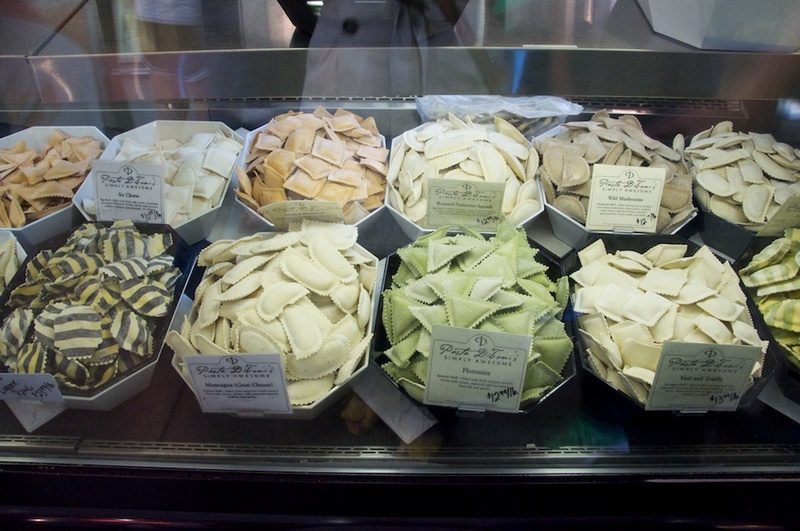 Just look at that beautiful handmade pasta. 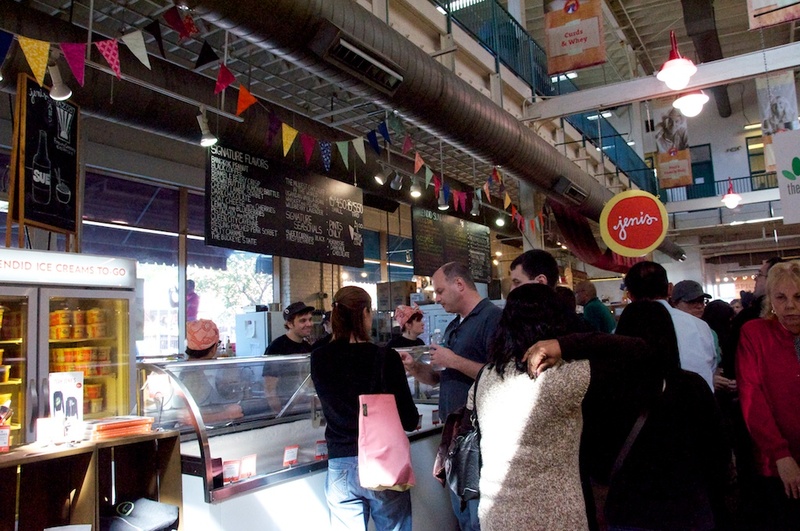 My main objective, however, was to finally get some of Jeni’s Splendid Ice Cream. I believe the North Market location is Jeni’s first and if I remember the story correctly, she worked with the other market vendors to source ingredients for her unique combinations. Jeni’s was packed and I was worried I wouldn’t be able to try as many flavors as I’d like, but the crowd thinned and I was able to try a few. I ended up with a scoop of Bangkok Peanut, a spicy, peanut butter and coconut ice cream and a scoop of Goat Cheese with Cherries. Both were incredibly unique, creamy and really, really good. Marc and Allison both had Wildberry Lavender and Marc’s second scoop was the spicy chocolate Queen City Cayenne and Allison’s second scoop was Pistachio Honey, another favorite of mine. 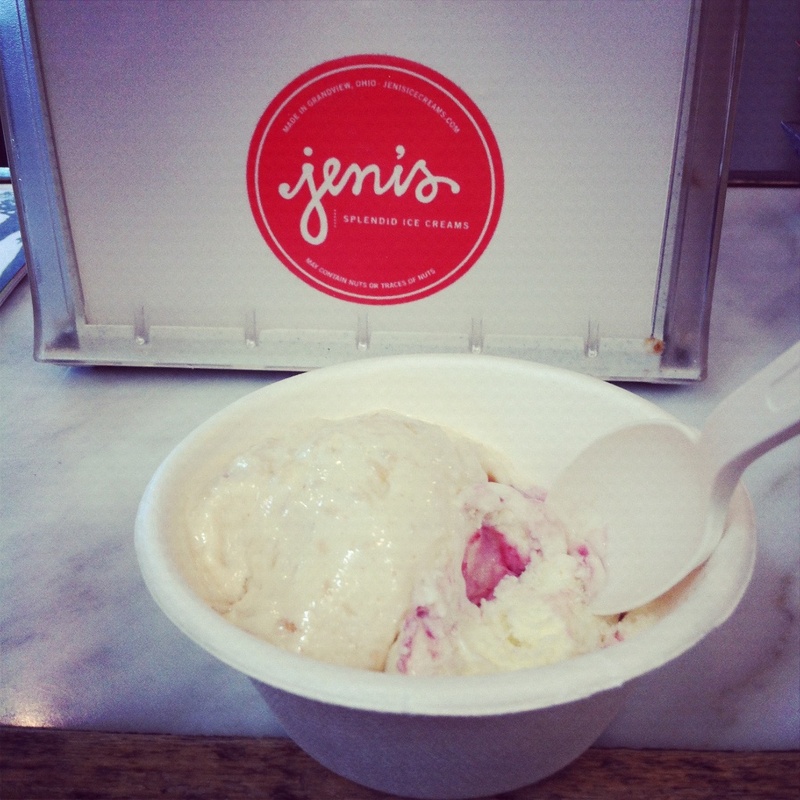 My first taste of Jeni’s did not disappoint. 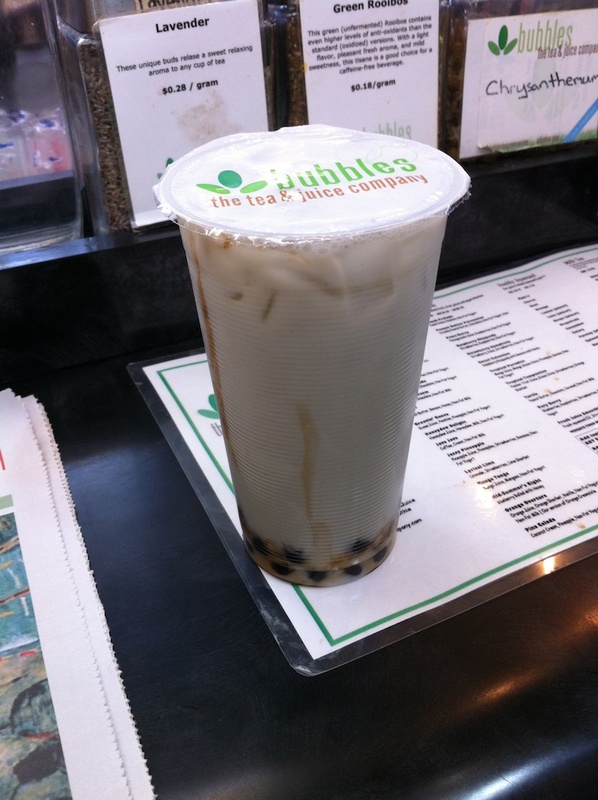 Our eat-a-thon was starting to catch up to me, but Marc wanted to try the bubble tea near Jeni’s. As full as I was, after one sip of the lavender bubble tea, I had to have another. It was lightly sweet with a touch of lavender and perfect chewy boba. It was really wonderful. The Indian place next to Jeni’s had mango lassi on the menu, but sadly we couldn’t try everything. 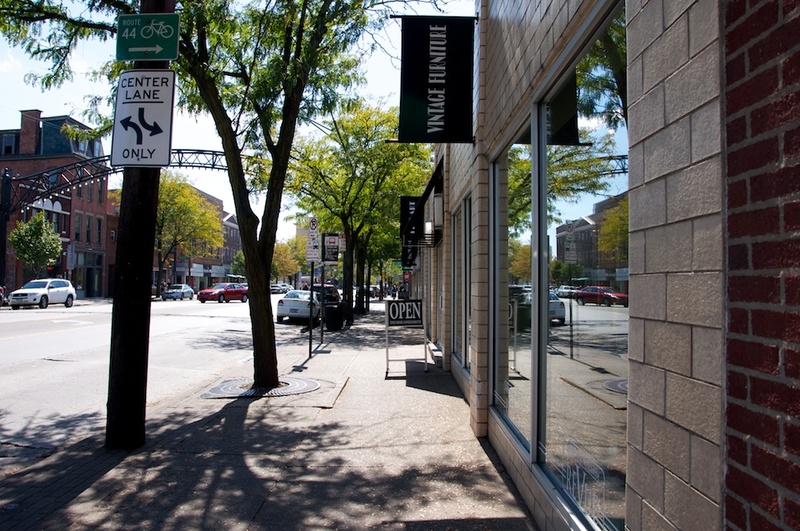 Allison recommended we head to the Short North neighborhood filled with little shops and antique stores that would allow us to walk off our indulgences. We stopped in ReVue, a huge consignment shop that had us entertained for hours. 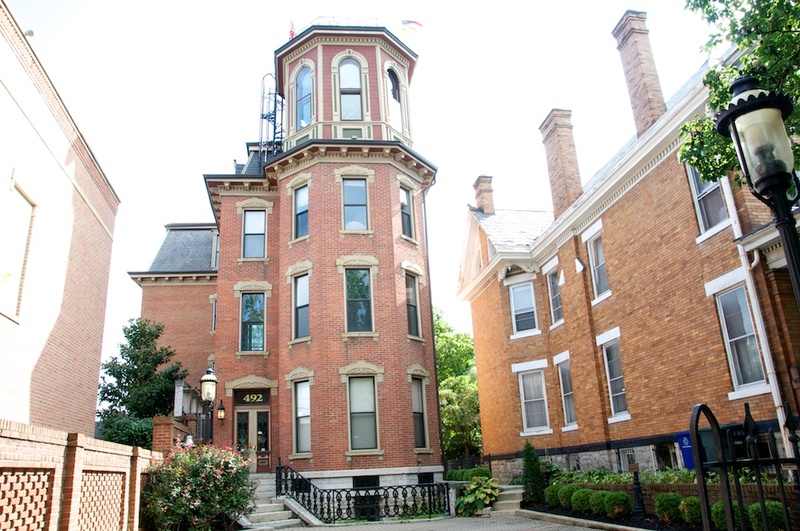 The huge building was filled with furniture, art, jewelry, old embalming equipment (seriously! ), odd taxidermy and more. We also went into Tigertree, a little gift and clothing shop with lots to look at. I found a cool, reversible belt there that matches a bridesmaid dress I’m wearing next summer. And it was only $15! They also have a Jeni’s Short North location, too. Kyle met up with us and we headed back to German Village for an early dinner. 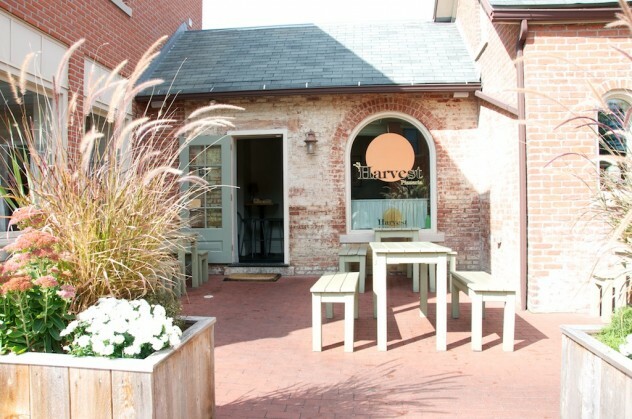 Harvest Pizzeria was charming and one of my favorite spots on our trip. The tables outside were filled, but the inside was filled with natural light thanks to large windows that lined the walls. We were there during happy hour and their 9-inch pizzas were $7 and salads were half off. We ordered drinks and three pizzas to share. 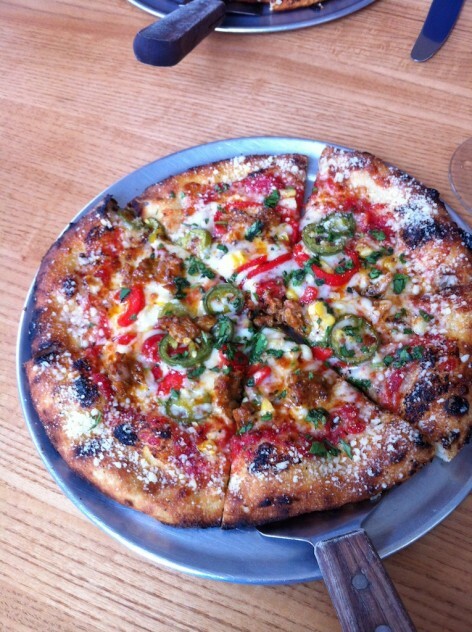 The Almond Pesto – a white pizza with spinach, almond pesto, mozzarella and artichoke, The Spicy Yuma – Canal Junction gouda, chorizo, jalapeño, corn, roasted red pepper, and chipotle-spike tomato sauce and The Fennel Sausage – Canal Junction gouda, smoked provolone, onion, fennel, sausage and fennel pollen. All three were great, but the fennel sausage was my favorite and Marc’s too. We skipped dessert, but they had a double-crusted apple pie sitting near the kitchen that looked incredible. 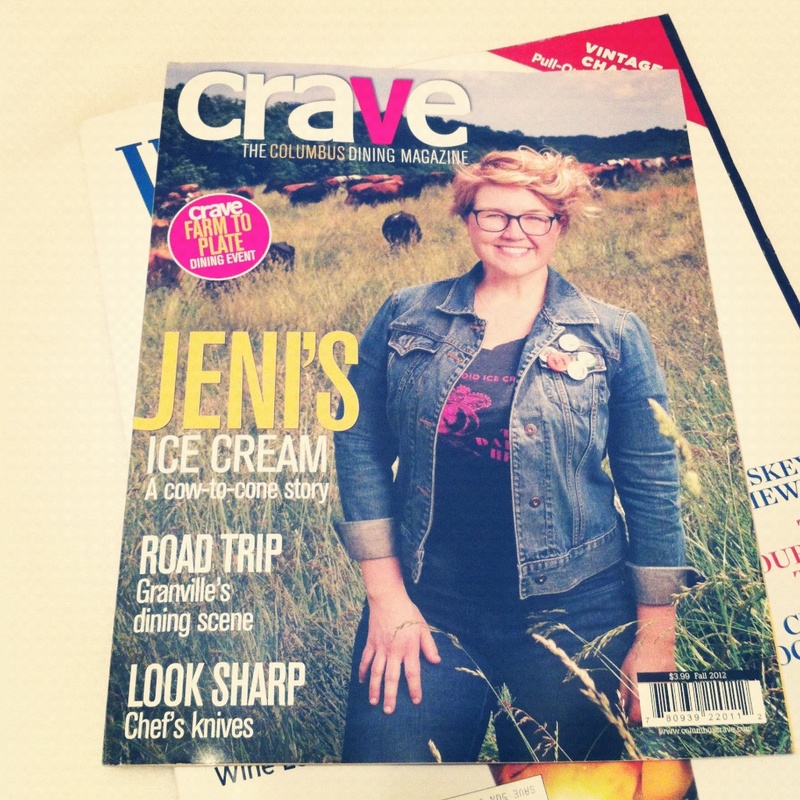 Unsurprisingly, Jeni was on the cover of Columbus’ dining magazine, Crave. She seems to be everywhere and for good reason. Inside the magazine was an interesting story of how close Jeni works with local farms and how it wasn’t easy for her at first, but now she has these amazing relationships with Ohio farms. If you can believe it, we ordered Italian take-out later that evening, which we joked was our “fourth meal”. On the way back from picking up the food, a group of baby deer decided to cross the road in front of us. I hit the brakes and stopped in time as the deer casually made their way across the road. The incident quickened my pulse and I couldn’t help but hope it was helping to burn the calories from the day. 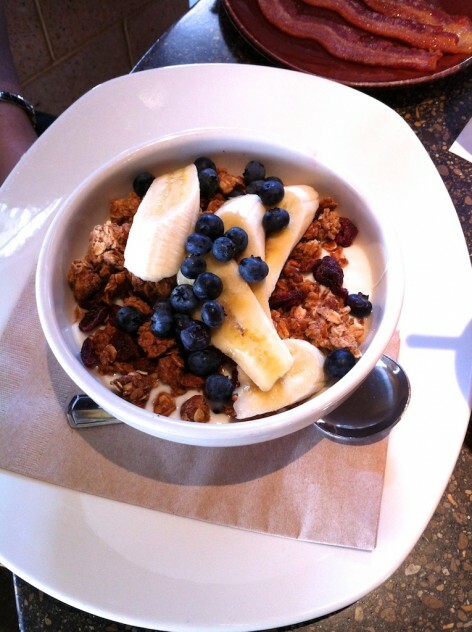 The next morning before Marc and I continued on to Nashville, we stopped by Northstar Cafe. 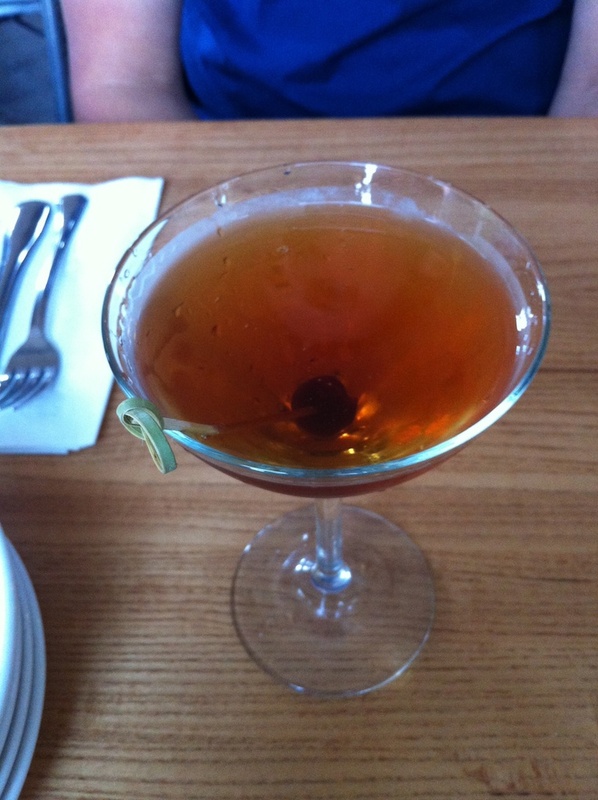 It was recommended by Jeni in an article I read and Allison agreed that it was a great place to eat. 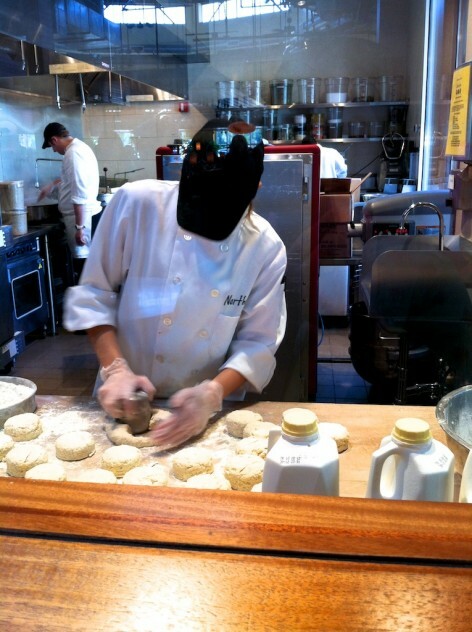 It was busy, but I was happy to watch the biscuits being made as we waited in line to place our order. We ordered our food at the register and then found a high-top table for the four of us. I ordered the cowboy breakfast with bacon, poached eggs and their fluffy biscuit. The biscuit was really incredible, probably the best I’ve ever had. It was light, fluffy and buttery. Allison’s granola and yogurt bowl was so pretty that I had to take a quick picture. 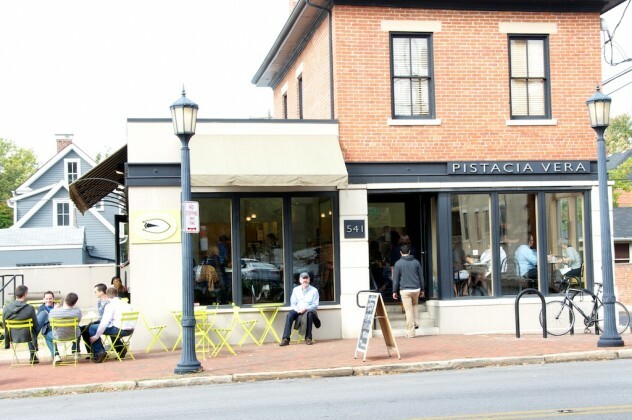 There are three locations for the Northstar cafe and we stopped at the Easton location because it was a few minutes closer to our Nashville route. The cafe is located just outside of the huge Easton outdoor mall and we walked around for a while with our friends before we hugged goodbye and headed out. 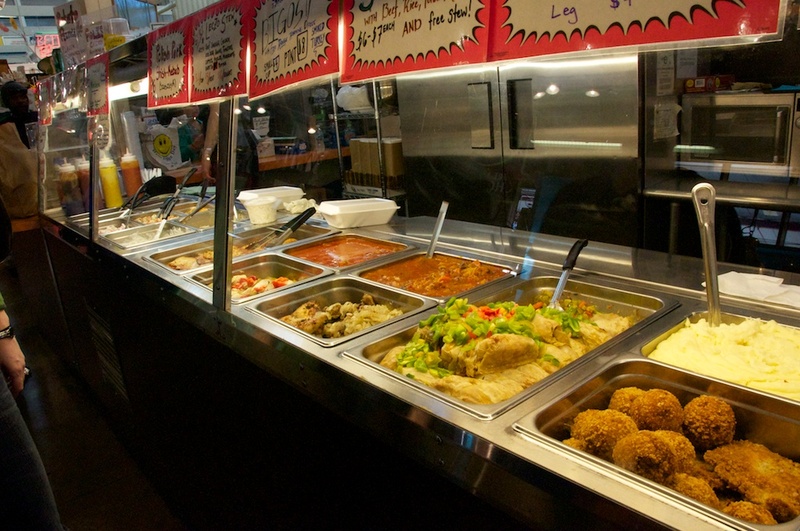 If you get the chance, Columbus is a worthy destination for a long weekend with great variety for food lovers. Both German Village and Short North are fun stops and it helps to be with really entertaining and gracious hosts, too. Thanks Allison and Kyle for showing us around and committing to the eat-a-thon! Check out Nashville part 1! I want to be back on a road trip!!!! You’re making me incredibly jealous 🙂 And I’m now super bummed we skipped Columbus – next time! Looks like you guys made the most of a short stop. I envy you for being able to read in the car! I always get sick. Sounds so fun AND delicious! So excited to have been the topic of an entire post of yours!! It was a great weekend…glad I was able to discover so new places with you guys!! Allison – Man, we really packed a lot in, didn’t we? Thanks, again, we had such a blast! Meredith – I’d love that! Columbus is wonderful!